This book-loving princess would be happy to help you catch up on your reading! Curl up with a good book and this beautiful mug, adorned with a rose pattern and Britto's colorful art style. Be our guest, enjoy a cozy night in with this Belle mug! 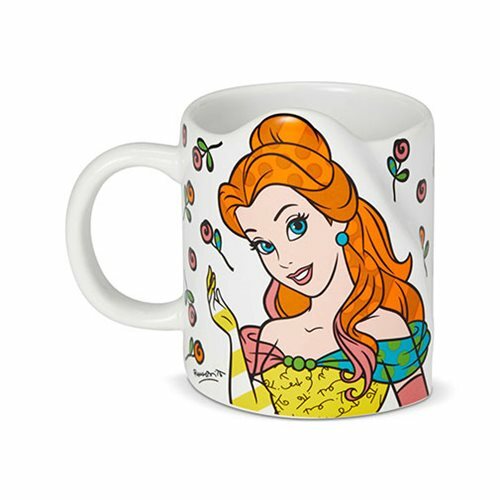 The Disney Beauty and the Beast Belle Mug by Romero Britto measures about 4 1/2-inches long x 3 3/4-inches tall x 3 1/8-inches wide.